Now that I am out of the first trimester, this pregnancy is absolutely flying by. June still seems very far away, but the weeks are flying and this sweet boy will be here before we know it! I had a doctor's appointment this week, and the baby's heart rate is 147! I am back to my pre-pregnancy weight, so I technically have not gained any weight yet. I lost 5 pounds in the first trimester, and I have officially gained those back. I feel like my stomach is giant and have no idea how the number on the scale is the same as my pre-pregnancy weight, but I think it will definitely go up by my next appointment! I have started feeling the baby a little bit more consistently when I lay down, so that's been awesome! I still don't feel this baby near as much as I did with Preston. I am anxious to see if I have an anterior placenta, meaning the placenta is between the baby and me. My sister had this with her first baby, and all it means is it's harder to feel the baby because the placenta is blocking him. We shall see! I miss feeling the kicks but love feeling the little movements that I currently am! We have sort of tabled the name conversation as of now, but we will eventually figure out what to name this guy. I feel like I know his name in my head and think of him with that name, but we haven't settled on anything. 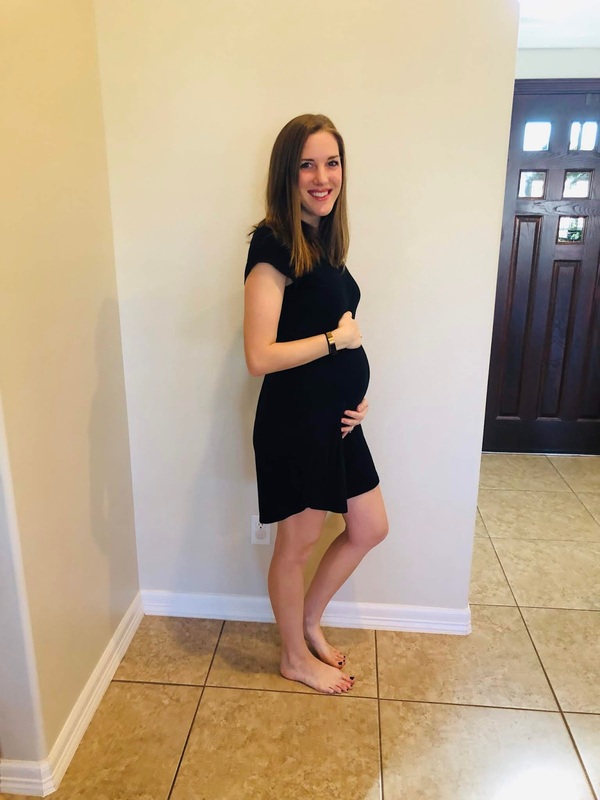 18 weeks is a special week in pregnancy for me because, according to her dating, it is the week Taylor Grace went to Heaven. It's the highest week that I got to carry all three of my babies, so it's just special for me. Here is a little photo collage of me carrying each of our children at 18 weeks! 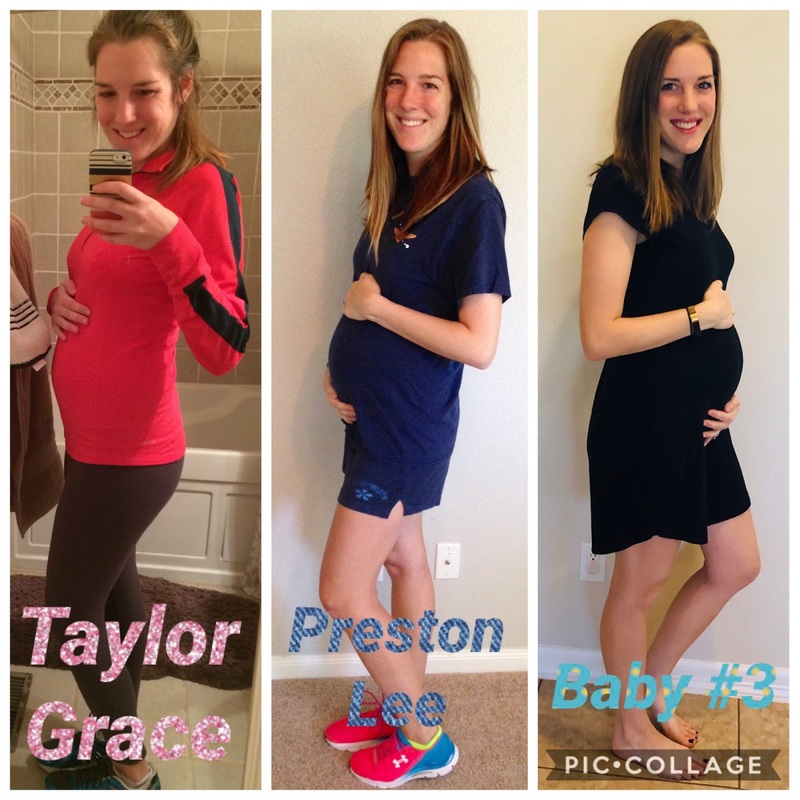 I can’t wait to see how Preston responds to everything when the new baby comes home in June! The 3 comparison photos are the best! You are the most adorable pregnant lady.